Businesses now have more flexibility in how they manage their provision of first aid in the workplace following a change in health and safety regulations. 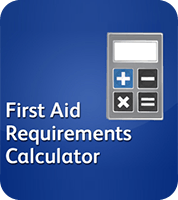 As of 1 October 2013, the Health and Safety (First Aid) Regulations 1981 have been amended, removing the requirement for HSE to approve first aid training and qualifications. The Changes to first aid regulations is part of HSE’s work to reduce the burden on businesses and put common sense back into health and safety, whilst maintaining standards. The changes relating to first aid apply to businesses of all sizes and from all sectors. Andy McGrory, HSE’s policy lead for First Aid, said: “HSE no longer approves first-aid training and qualifications. Removing the HSE approval process will give businesses greater flexibility to choose their own training providers and first aid training that is right for their work place, based on their needs assessment and their individual business needs. HSE will continue to set the standards for training. 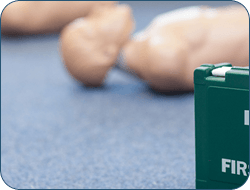 While the changes give employers flexibility, the one day Emergency First Aid at Work (EFAW) and three day First Aid at Work (FAW) courses remain the building blocks for first aid training. As part of the Changes to first aid regulations, the Approved Code of Practice (ACOP) text which was previously included in guidance document L74 (which consisted of only 12 sentences), has been incorporated into the new guidance. 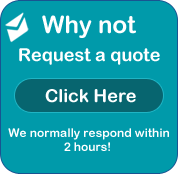 The advice in the guidance sets out clearly the recommended practical actions needed, and the standards to be achieved, to ensure compliance with duties under the 1981 Regulations. This is intended as a comprehensive guide on ensuring compliance with the law. Information above has been sourced from the http://www.hse.gov.uk website.